Order in next 14 hours and 15 minutes for despatch today. 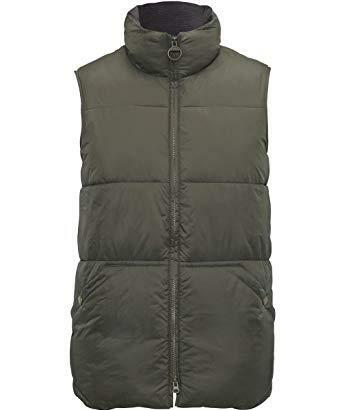 Hermitage Body Warmer for men in olive green by Barbour of England. The Barbour Hermitage Body Warmer is filled with artificial down and offers wind and cold protection. It has a corduroy lined collar, inner patch pocket and Barbour branded two-way ring pull zip fastening. Available in olive polyamide, as shown. Make your choice of size from the pull down menu below. Gilet length 24.5-26 inches (63.2-66.8cm). Machine washable at 30 degrees.SALE!